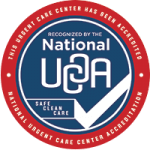 At Advanced Urgent Care and Occupational Medicine, we believe in treating everyone like family! Join our dedicated team of medical providers, patient care support and administrative staff as we make a difference in the lives of our customers and patients every day. Our Workers Compensation and Occupational Medicine business is growing and thriving! We’re looking for an organized, personable “paperwork pro” to help us consistently exceed the expectations of our customers and their employees. Reviews patient charts, matching clinical orders to documentation, to ensure services were rendered accurately and completely. Adds paperwork to patient’s chart and ensure it is properly classified and labeled within 24 hours or next business day from date of service. Sends paperwork to clients and insurance adjusters via email, fax or occupational medicine portal in a timely manner. Sends copy of the Drug Screen Custody and Control forms to the appropriate MRO within 24 hours. Manages Occupational Medicine Virtual Triage Visits notes and correspondence with the clients/employers. A genuine commitment to our values: Do the right thing. Show others you care. Do your best.